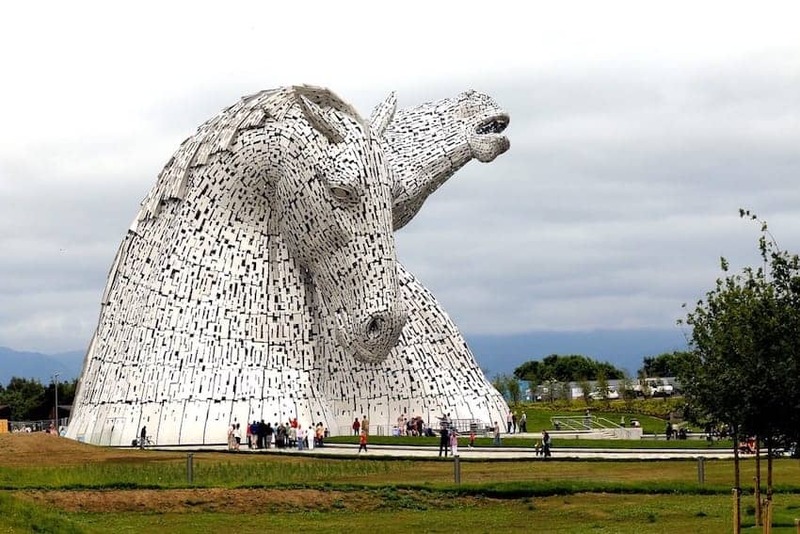 Completed in 2013 The Kelpies are 30-metre high horse-head sculptures, standing in The Helix, a new parkland project connecting communities in Falkirk. The sculptures were designed by sculptor Andy Scott and are a monument to horse powered heritage across Scotland. The sculptures have their own visitor centre and sit beside a newly developed canal extension that reconnects the Forth and Clyde Canal with the River Forth, improving the navigation between the East and West of Scotland.